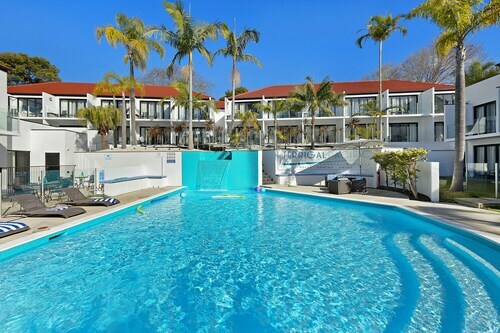 Nestled on the beach, this Terrigal hotel is within 1 mi (2 km) of The Skillion and Terrigal Beach. Breakers Country Club and Terrigal Lagoon are also within 2 mi (3 km). 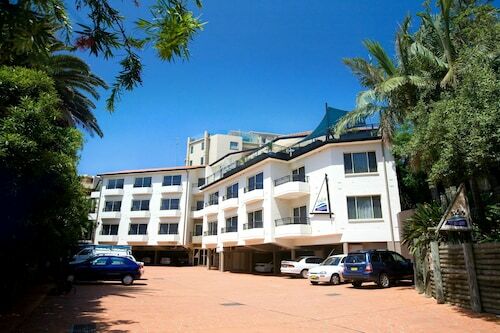 Situated near the beach, this aparthotel is within a 15-minute walk of Terrigal Lagoon and Terrigal Beach. The Skillion and Breakers Country Club are also within 2 mi (3 km). Situated near the beach, this apartment building is within a 10-minute walk of The Skillion and Terrigal Beach. Breakers Country Club and Erina Fair are also within 6 mi (10 km). Situated near the beach, this guesthouse is within 1 mi (2 km) of The Skillion and Terrigal Beach. Terrigal Lagoon and Breakers Country Club are also within 3 mi (5 km). Terrigal is the heart of the New South Wales Central Coast, Sydney-siders, interstate travellers and international guests alike flock to the spectacular coastal destination every year. 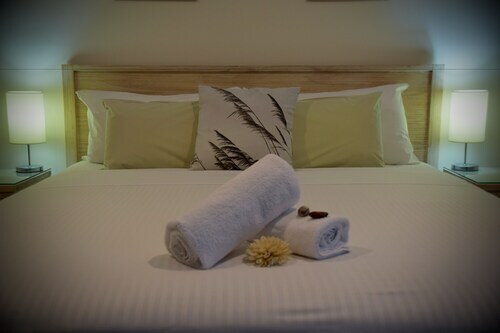 Stay in our Terrigal accommodation to see for yourself what all the fuss is about, you won’t be disappointed! See our selection of accommodation located nearby the famous Forresters Beach. 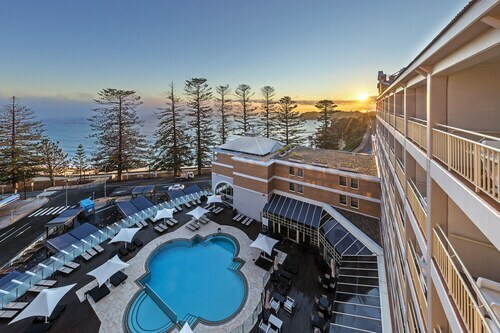 Terrigal is a popular getaway from the city which is just an hour and a half to the south, and has developed into a cosmopolitan beachside community with a range of boutique shopping, fine dining and luxury accommodation available in one of our Terrigal hotels. There is still a beachside family ambience on the Esplanade however with small cafes and fish and chip shops, just perfect for lunch by the beach. The magnificent waterfront is an obvious attraction for many visitors to Terrigal, starting with the 4km of unbroken stretch of white sand and clear Pacific waters of Terrigal Beach. The northern section of the beach is known as Wamberal Beach and is also home to Wamberal Lagoon, should you be looking for calmer waters during your stay in one of our Terrigal hotels. Another natural attraction to the area is one of Terrigal’s most prominent feature, Broken Head; this rocky outcrop is covered on one half by flat grassy plains that are part of the public reserve. The defining quality of the headland is the Skillion, which tapers off from the broad flat of the headland into a sheer cliff that provides spectacular views from its top; you will even be able to see your Terrigal hotel from up here. How Much is a Hotel Room in Terrigal? Hotels in Terrigal start at AU$150 per night. Prices and availability subject to change. Additional terms may apply. Ground floor access to spa apartment was much appreciated. It was adequate, butbut needs a good paint job. They are doing some maintenance. They need offer breakfast in the deals.